If one of the features of Spanish art is its inspiration from the material, everyday world, then the painting of the “Anonymous knight”, lying “neglected” for many years in the storerooms of the Metropolitan Museum of Art, New York (MET) and now attributed to the palette of the great master Diego Velazquez, bears all these characteristics. According to Javier Portus, head conservator of the Prado Museum’s department of Spanish painting (up to 1700), the painting is a portrait of Juan de Cordoba, commercial envoy of king Philip IV to Rome, who helped the Seville painter purchase works on behalf of the monarch during his voyage to Italy. As Portus himself notes in his relevant article in Ars Magazine “the aim was to draw attention to a very interesting work and to rekindle an interest in the painter”. In his study Portus argues that the painting may have been executed during Velazquez’ second trip to Italy (1649-51) and that it has many things in common with the similar portrait of Juan de Pareja (1650) which is also in the MET as well as with later portraits by the artist. Portus spent three years studying this painting of the “Unknown model” and finds its spontaneous execution to be the best guarantee of its paternity. 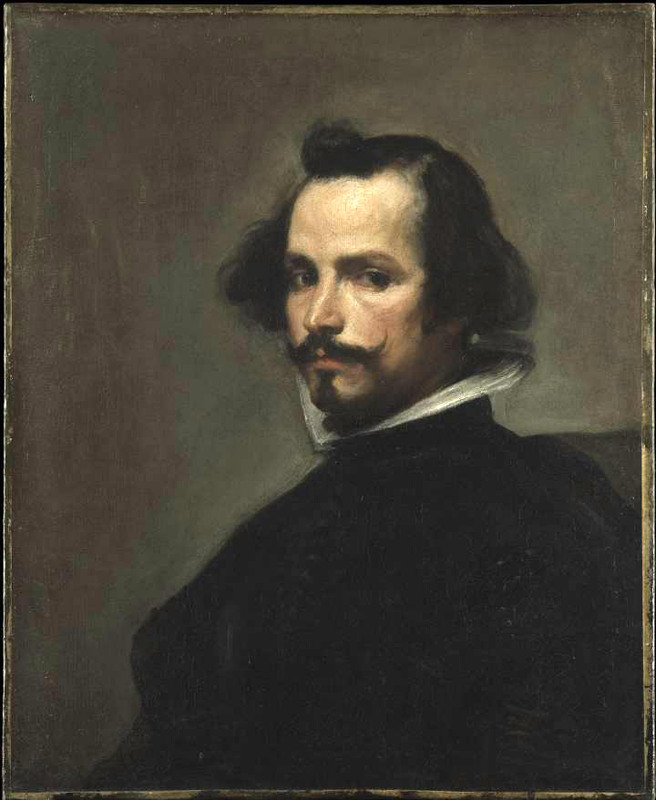 It is a classic example of a Velazquez who manages with a minimum of brush strokes to achieve a maximum effect. Executed with a lot of freedom and small finishing touches, the painting does not mind softening the contours of its model, or the brush strokes being visible. Its improvisations are wisely thought out, confident and with a touch of arrogance. The painting’s surface seems to be a tumult of uncoordinated brushstrokes, but if one moves a couple of steps back from it, everything is seen to be in its proper position. In the sitter’s unruly hair, Portus discerns the naturalism of Velazquez, a painter who best expressed the spirit of the Counter- Reformation: namely, verisimilitude, stature, dignity and a proximity to reality. What particularly caught Portus’ attention was the execution the “dirty brush stroke”; the artist’s intention not to seek out a “very definite” end result. The limits of the face are not entirely defined but rather ‟ambiguous”, points out Portus. ‟All of the sitter’s profile is very dynamic. Either at chest level or at the back of the neck, the lines that separate the sitter’s body from the back ground have dissolved into a broad band of light”, he writes, noting that it is a mottled portrait, typical of Velazquez’ style. The painting’s background is neutral and infinite and a shadow moves in a marvelous way across and around it as in other Velazquez paintings; in, for example, the wonderful ‟Pablo de Valladolid” (1635) and “Menippus” and “Aesop” (both of 1635). Velazquez leaves his subjects exposed, as if appearing out of a mist; the protagonists in dark places that give a dynamic to the human condition of his subject matter.